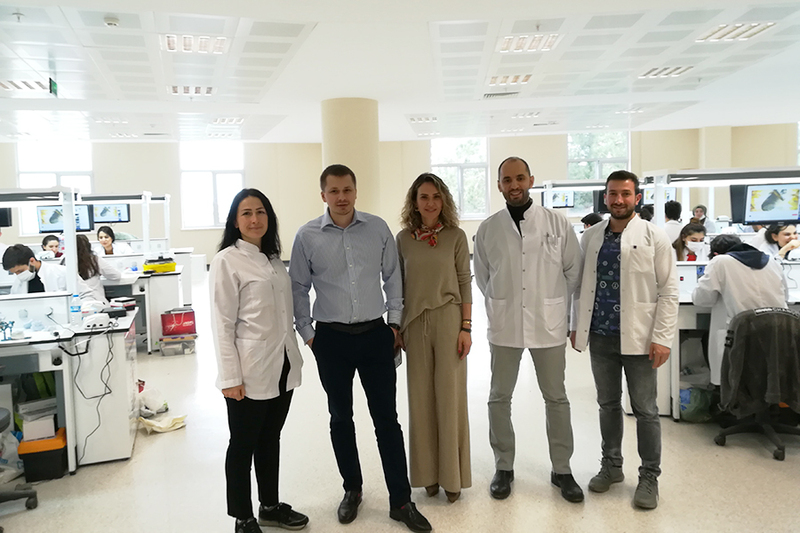 Within the framework of the Erasmus+ program in the direction of KA1. 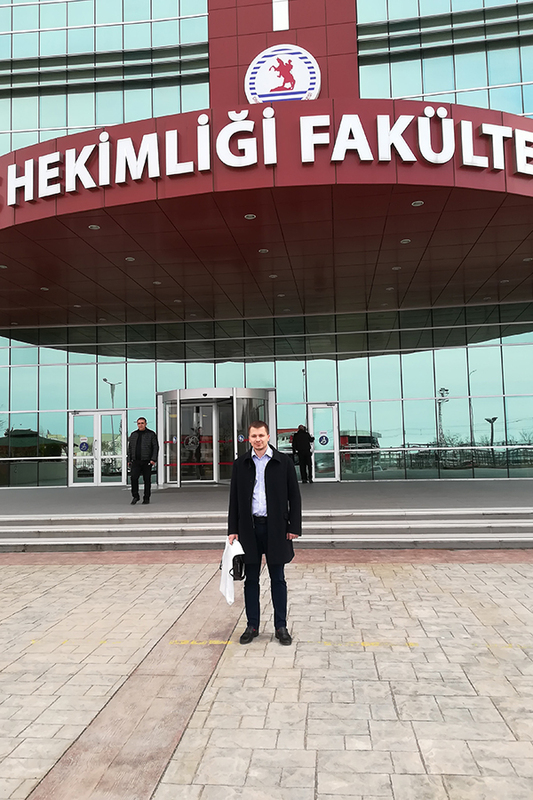 Learning Mobility of Individuals, Yurii Kucheriavyi visited the Ondokuz Mayıs University in Samsun, Turkey, as a representative of the ZSMU International Relations Department. 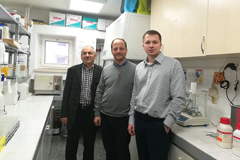 A fruitful week of cooperation and experience exchange started with the visit of the Chemistry Department. 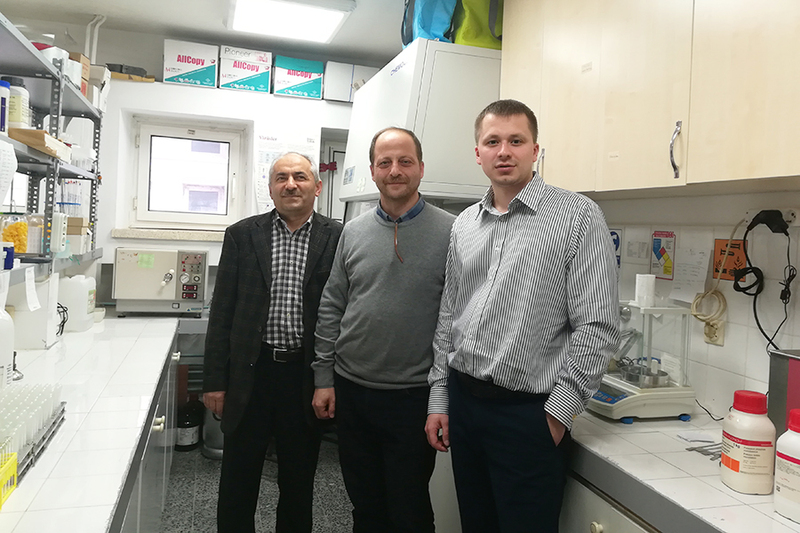 Beytullah Afsin, professor of the Department, described in detail the peculiarities of the educational process at the Chemistry Department and at the university as a whole, as well as the possibilities of entering the postgraduate study. 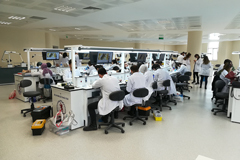 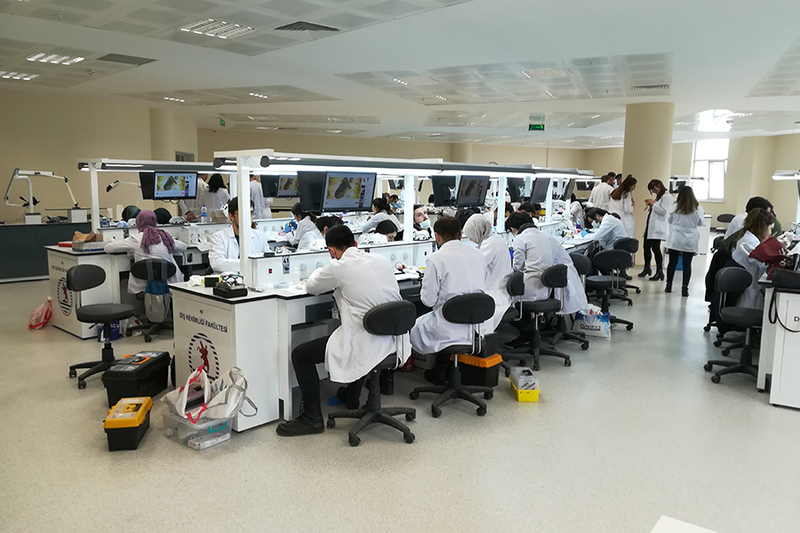 He showed the research laboratories, where young scientists and their leaders talked about the directions of scientific researches, as well as demonstrated the latest equipment. After that Professor Ibrahim Levent Güngör, Dean of the Faculty of Medicine, described the aspects of implementing a new system of teaching and training students at the Faculty of Medicine over the last few years. 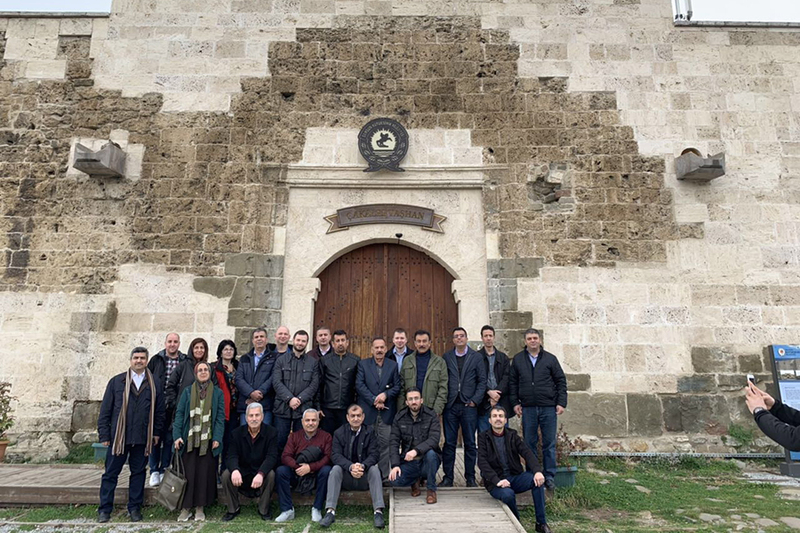 It was noted that the Faculty of Medicine of OMU is interested in academic short-term exchanges, energetic and creative lecturers of foreign universities. 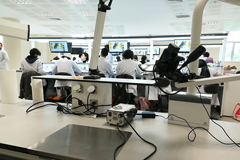 The day of the workshop at the Faculty of Dentistry was also interesting. 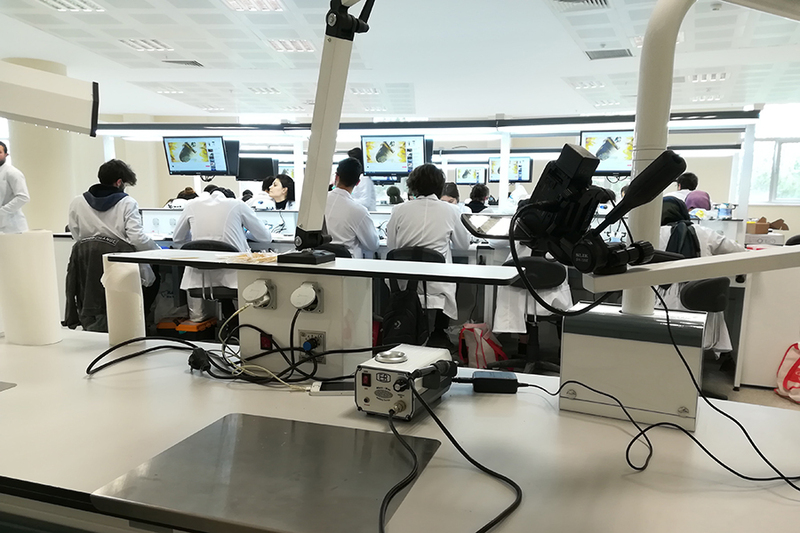 Professors and associate professors of the departments shared the experience of teaching and training dentistry students. 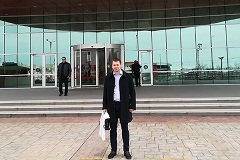 Apart from the workshops, it was possible to communicate with the staff of the International Department and the University's Erasmus+ Office. 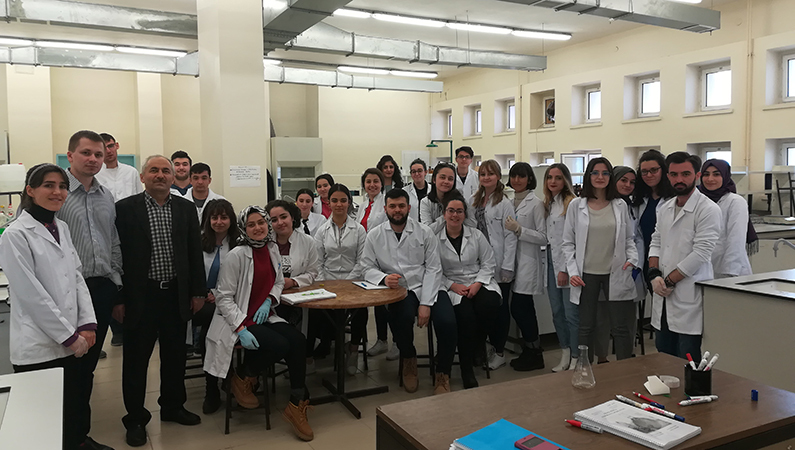 In particular, Ms. Emine Bol Yazici, Coordinator of Erasmus+ Office, noted her university as an active participant in the Erasmus+ Program, shared the formula for successful participation and activities, and emphasized that Ondokuz Mayıs University was open to collaborating and developing new joint projects and academic exchanges.